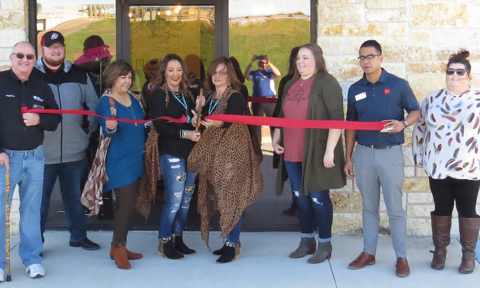 Ribbon Cutting held for Rebellious Rose Boutique on November 3, 2018. Manager Christine Zepeda and Owner Vickie McMullin are shown using the chamber scissors to cut the ribbon. 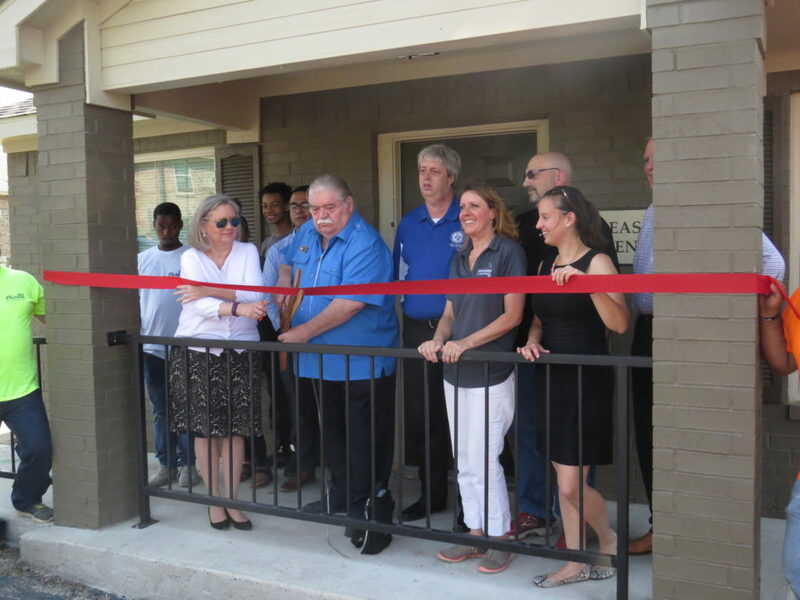 Ribbon Cutting held for Housing Channel on June 7, 2018 at Heritage Manor Apartments. White Settlement Mayor Ron White handled the scissors cutting the ribbon. 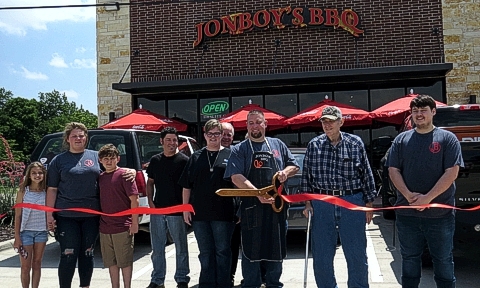 Ribbon Cutting held Jonboy’s BBQ on May 19, 2018. Owner Jon McCloskey is shown using the chamber scissors to cut the ribbon as family and friends look on. 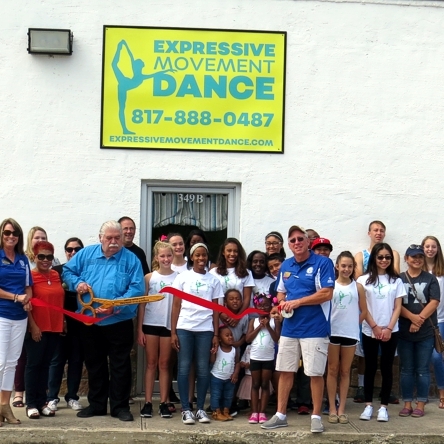 Ribbon Cutting held at Expressive Movement Dance on September 30, 2017. 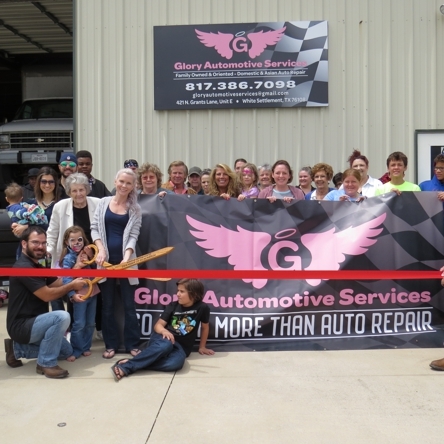 Ribbon Cutting held at Glory Automotive Service on April 22, 2017. 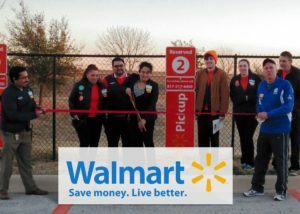 Ribbon Cutting held at on March 24, 2017. 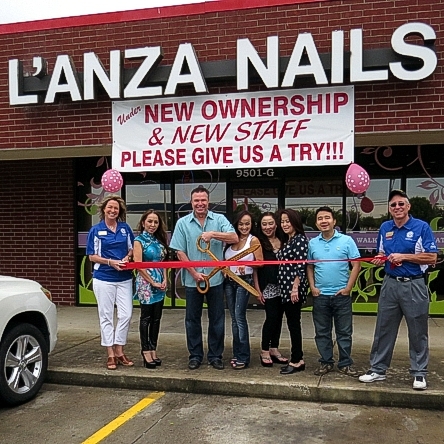 L’anza Nails owners Gary Franklin and Katy Nguyen are shown using the chamber scissors to cut the ribbon as team members with White Settlement Area Chamber of Commerce Marketing Director Audra Mead and First Vice President/Lead Ambassador Tyler McGlasson holding the ribbon. Sandra readies the large scissors to cut the ribbon for the event. Ribbon Cutting held at Pierce Group Allstate on December 10, 2016. 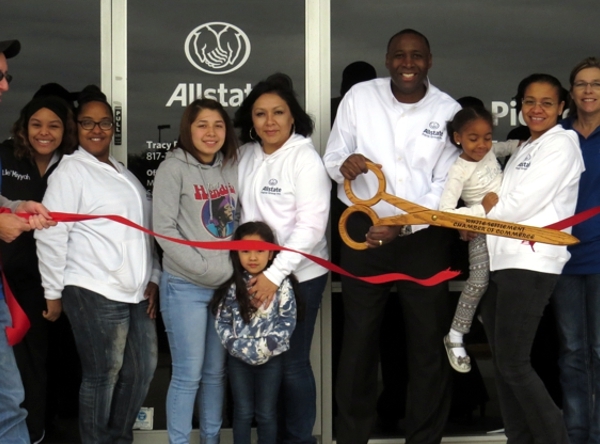 Tracy Pierce, owner, is shown using the chamber scissors to cut the ribbon as family, Pierce Group Allstate team members and Chambers Ambassadors look on. 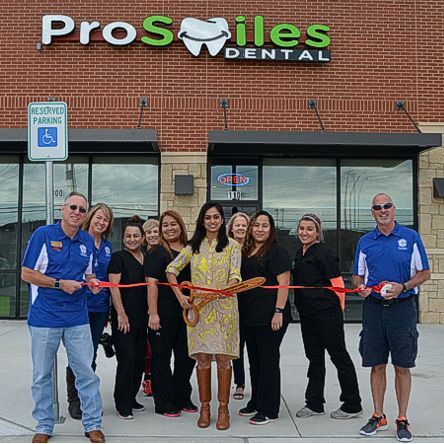 Ribbon Cutting held at ProSmiles Dental on November 12, 2016. Dr. Archana Lankupalli DDS is shown using the chamber scissors to cut the ribbon as ProSmiles Dental team members and Chambers Ambassadors look on. 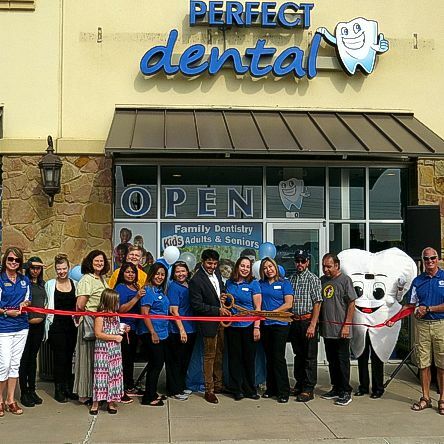 Ribbon Cutting held at Perfect Dental on September 3, 2016. Dr. Rushabh Doshi, DMD is shown using the chamber scissors to cut the ribbon with Perfect Dental team members, clients, friends and Chambers Ambassadors assisting.